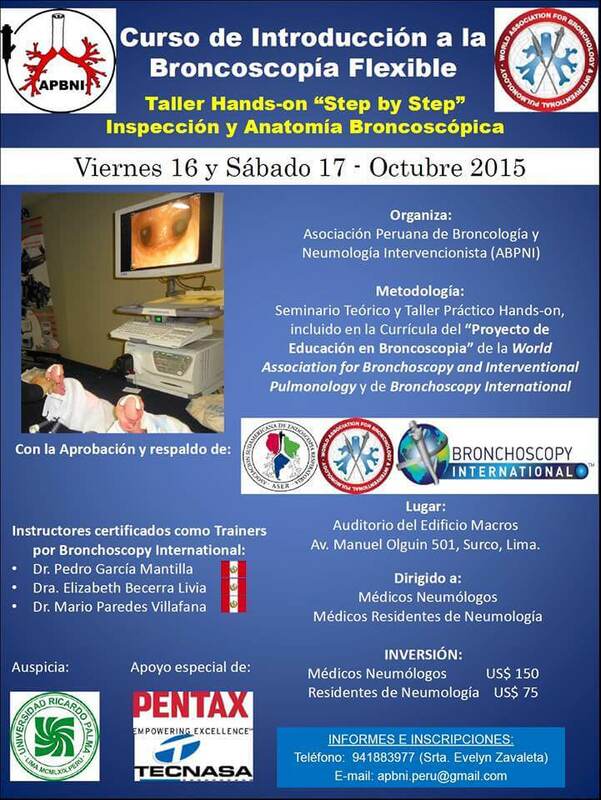 The Peruvian Association for Bronchology will hold an IFB Course in Lima for pulmonology residents and junior pulmonologists. Date: October 16 - 17 and November 7 2015. Also, there will be a pre-test and post-test model (BSTAT) to document cognitive knowledge and technical skill acquisition. The program will receive the endorsements of Ricardo Palma Peruvian University and the Peruvian Medical Board.